Panel Round Two More questions for the panel: Adult Swim; Day Care Spa; Go and Rejoice. More questions for the panel: Adult Swim; Day Care Spa; Go and Rejoice. 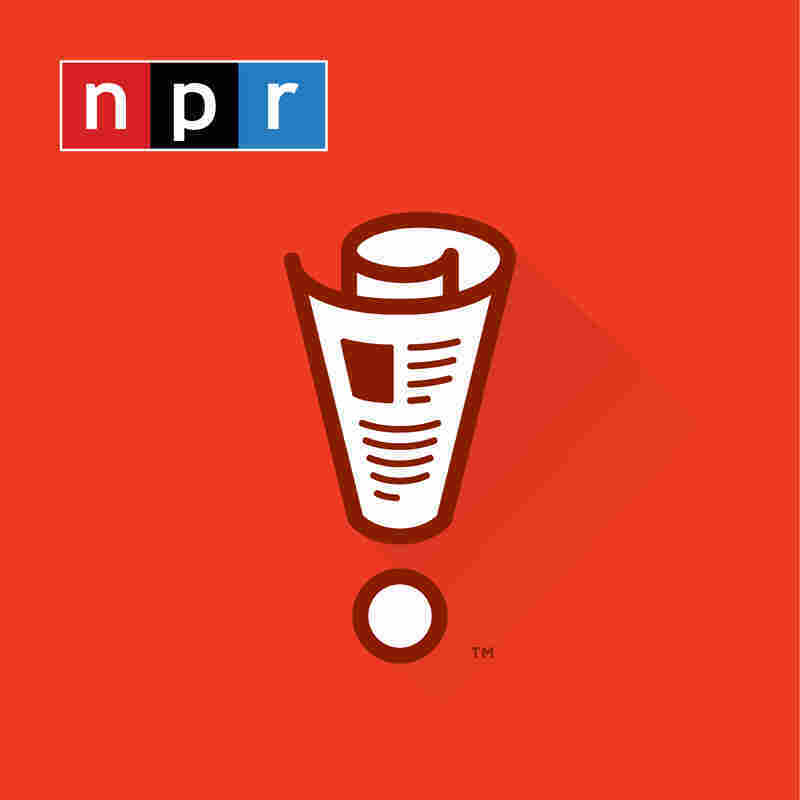 BILL KURTIS, BYLINE: From NPR and WBEZ Chicago, this is WAIT WAIT ...DON'T TELL ME, the NPR News quiz. I'm Bill Kurtis. We're playing this week with Paula Poundstone, Brian Babylon and Amy Dickinson. And here again is your host, at the Chase Bank Auditorium in downtown Chicago, Peter Sagal. SAGAL: Thank you, everybody. In just a minute - how can it be wrong when it feels so rhyme? It's our Listener Limerick challenge. If you'd like to play, just us a call at 1-888-WAIT WAIT - that is, of course, 1-888-924-8924. Right now, panel, some more questions for you from the week's news. Brian, according to a new report in Politico, their magazine, in 2008 newly-elected Senator Kay Hagan of North Carolina wanted to go use the Senate swimming pool, but she was told she couldn't. Why not? BRIAN BABYLON: Where's this pool? PAULA POUNDSTONE: It's behind the cloak room. BABYLON: It's behind the cloak room, yeah. SAGAL: It's near the Senate gym, apparently. BABYLON: No dames allowed, you see? I don't know. SAGAL: Well, why weren't women allowed? BABYLON: All right, give me a slight hint. SAGAL: Well, with this bunch, you can't really call it skinny-dipping. BABYLON: She wanted to go naked? BABYLON: Joe Biden was already in there naked? SAGAL: Well, that's good enough. Joe Biden, of course, had just left the Senate at that time. But she was told that she, a woman, could not go use the Senate swimming pool because the male senators liked to go down there and swim naked. POUNDSTONE: Oh, that's disgusting. We don't need that image in our head. AMY DICKINSON: Think about those cannonballs. POUNDSTONE: You know what? Flag her. SAGAL: Senator Hagan says that it took an intervention by Senator Chuck Schumer to end this practice. He said, look, guys, either put your pants on, or I take mine off. BABYLON: ...Or, like, the sequel to Cocoon. SAGAL: No, no, it's terrible. SAGAL: Paula, this week the New York Times reported that spas everywhere are now offering facial cleanses, pedicures and other luxury treatments to a new segment of clientele. Who is it? SAGAL: Not dogs. No, we're had that for years - dog spas. No worries there. POUNDSTONE: You know, 'cause they get the dry skin. SAGAL: How could you give a pedicure to a snake? POUNDSTONE: Yeah, very carefully. How could you give a pedicure to a snake? That's a very good question. Snakes don't have feet. SAGAL: You're right. They don't. SAGAL: Close - I'll give it to you - children. POUNDSTONE: Children. Yeah, that's, yeah, no. SAGAL: All children are beautiful, but let's be honest, they could be more beautiful. SAGAL: Whether it is the princess facial at the Beverly Wilshire Spa in Beverly Hills or the boyicure - the manicure for kids. Get it - manicure, boyicure? It's never too early to introduce your children to crippling unachievable standards of beauty. BABYLON: But what can a kid exfoliate off their little faces? POUNDSTONE: Well, their skin's growing rapidly. It's falling off constantly. Kids are snakes with feet. SAGAL: Amy, Pope Francis expected to draw crowds in the millions for his visit to the Philippines next week. And Manila does not have the restroom facilities or even the port-a-johns to support the crowds. But there is a solution. They are asking millions of people to do what? DICKINSON: Hold it. Just hold it. SAGAL: No. No. I'll give you a hint - whether or not this works depends on the people's willingness. SAGAL: To wear diapers, yes. SAGAL: Well, adult diapers may seem extreme, but it beats the alternative which is exploding. The thousands of traffic cops in downtown Manila will be required to wear diapers. SAGAL: For everybody else, it's just a handy suggestion from the government. According to the Associated Press, the plan was, quote, well-received by the cops which cannot possibly be true. DICKINSON: I just picture the, well, the changing stations. DICKINSON: That's not going to be pretty. POUNDSTONE: They're going to break the tables. BABYLON: They have to be adult-size changing stations? POUNDSTONE: Those plastic tables are coming right off the wall. You know, I'll tell you something. I'm an atheist, and this is part of the reason why. POUNDSTONE: I just think any figure that causes an entire country people to put on Depends, we need to rethink. BABYLON: Can I say something? A million people in Depends? That's got a be some type of Guinness book something. SAGAL: All you need to do is get them to admit it. POUNDSTONE: Well, I think the cops alone - that's got to be the most cops every wearing Depends, wouldn't you think? POUNDSTONE: And don't forget the wipes.